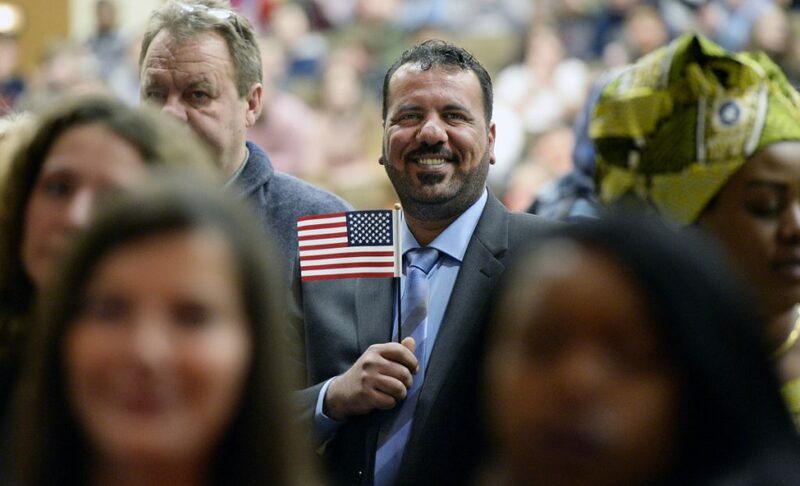 Fifty-four people from 36 countries become naturalized citizens at a joyful ceremony in Biddeford on Wednesday. 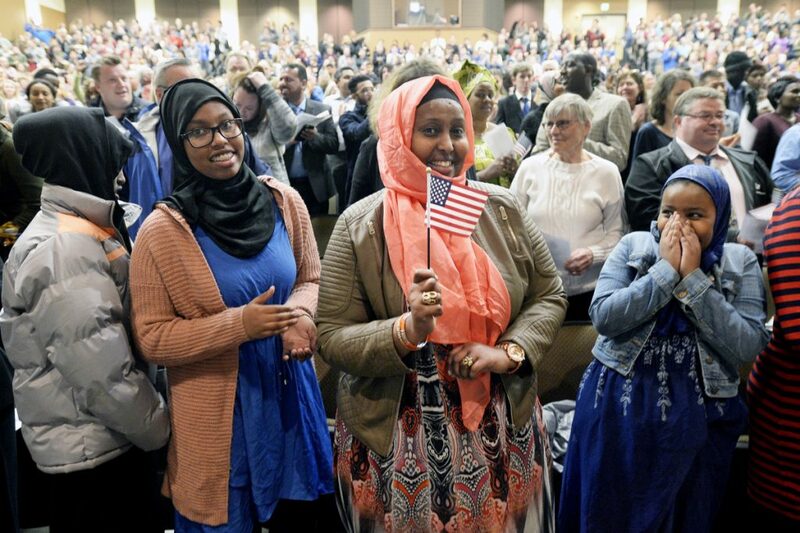 BIDDEFORD — The smile didn’t leave Bahga Guelleh’s face as she recited the Pledge of Allegiance for the first time as an American citizen. With a small flag clutched in her hands and her three daughters at her side, the Djibouti native was eager to celebrate a day that her family had dreamed of since they began arriving in the United States eight years ago. 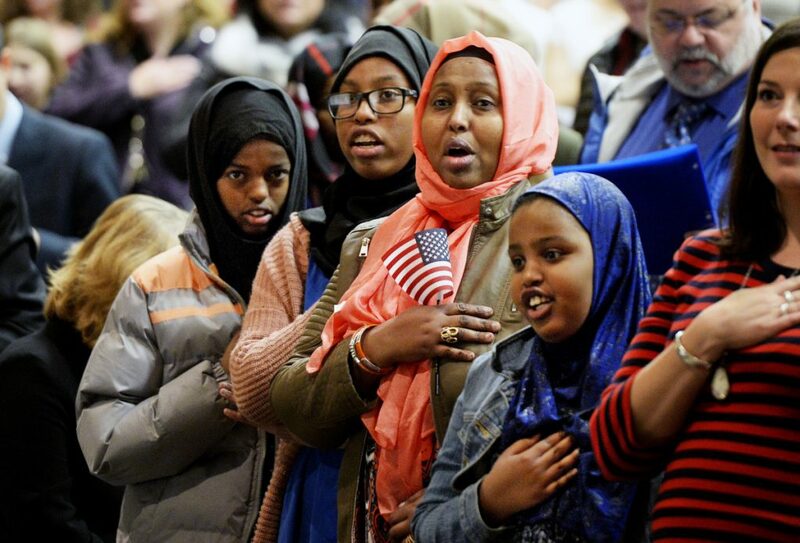 Her daughters, 10-year-old Mardia Hoch, Afnan Hoch, 12, and Rayane Hoch, 13, were among the youngest new citizens to take the oath of allegiance during a naturalization ceremony Wednesday at Biddeford Middle School. Rayane Hoch, a student at Lyman Moore Middle School in Portland, is already excited to vote for the first time – five years from now. Meanwhile, Dr. Ezra Chapola sat a few rows back with his wife, Taona Chapola, and their children, 19-year-old Ezra Chapola Jr. and 24-year-old Maggie Chapola. The Chapolas, who now live in Portland, moved to Maine 15 years ago from Zimbabwe. All four became naturalized citizens on Wednesday. “This is a great opportunity for my kids, who grew up here,” Dr. Ezra Chapola said in the minutes before he took his oath of allegiance. 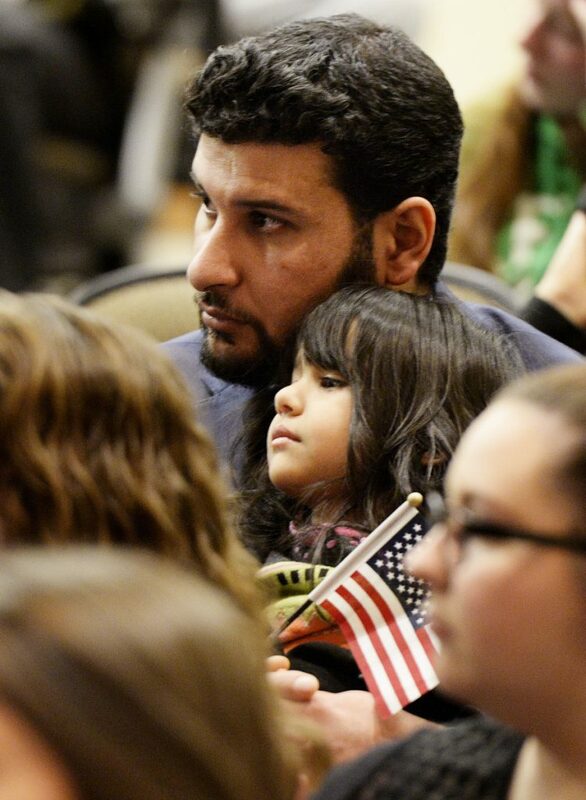 The families were among 54 people from 36 counties who became naturalized citizens during the ceremony Wednesday, which was the first hosted by the Biddeford School Department and was attended by hundreds of students. Superintendent Jeremy Ray said the ceremony offered a unique opportunity for the schools and the city, which is experiencing a new wave of immigration. There are now more than 200 English language learners from 20 countries attending Biddeford schools. “This is an event you really can’t replicate in the classroom,” Ray said. Nasser Rohani, the featured speaker during the ceremony, left his native Iran when he was 18. He moved to the United States in 1985, raised his four children in Portland and has worked for L.L. Bean for the past 32 years. He became a citizen 28 years ago, a step he called a turning point in his life. Rohani encouraged new citizens to work constantly to improve their English, learn new skills and serve their communities. “I try to raise a generation of children who are free of prejudice of all kinds,” Rohani said. After the ceremony, Jürgen Wurth of Readfield showed off his Certificate of Naturalization to his children, Tristen, 10 and Katya, 11. Wurth, who works for Sysco Northern New England Inc. in the Portland area, moved to the United States with his parents 45 years ago when he was 7 and was raised in the Blue Ridge Mountains of Virginia. He said he wanted to become a citizen in part so he could travel with his children. “This has always been my home,” he said.